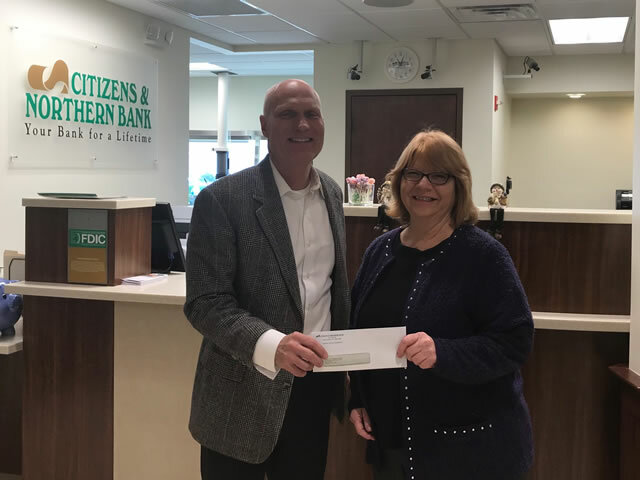 WELLSBORO, PA – Each year, Citizens & Northern Bank’s Trust and Financial Management Group honors several local non-profit organizations with holiday donations. 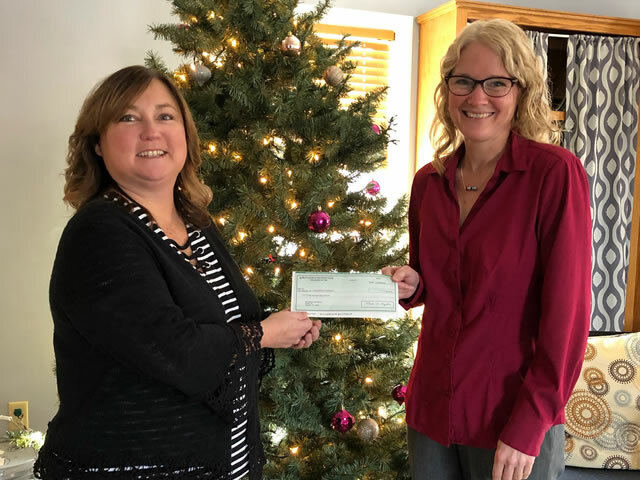 In 2018, six organizations were presented with a total of $2,500 to help them continue to provide valuable services to our community. The Bridge of Penn-York Valley (Sullivan County) is a non-profit outreach of 36 area churches which provides good clothing, bedding, kitchen items, furniture and more to those in need. The Children’s House and Children’s Advocacy Center (Bradford County) provides a safe and supportive environment through collaboration of community agencies to reduce trauma to children and their families who have experienced abuse. 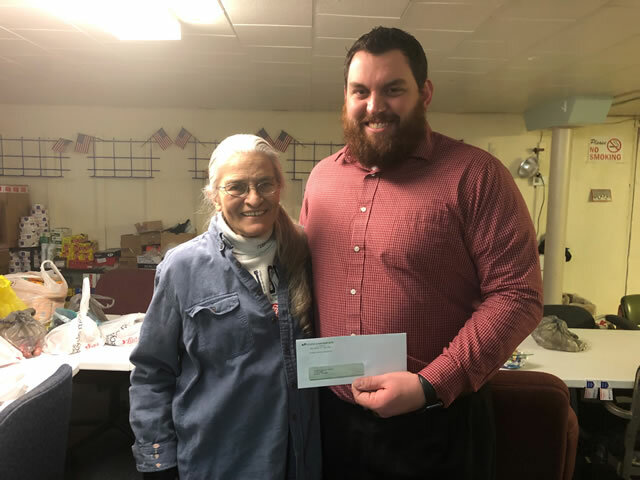 Goodies for Our Troops (Tioga County) is a local non-profit organization that provides care packages to thousands of military service men and women in a variety of countries around the world. The Susquehanna Valley CASA (Lycoming County) is a nonprofit organization providing assistance to courts in determining what is in the best interest of abused and/or neglected children. Through objective investigation and observation, with the focus on the child, the assigned CASA volunteers will develop and present their recommendations to the courts to aid in establishing a safe, permanent, and nurturing home in an expeditious manner. The Community Foundation for the Twin Tiers (Potter County, not pictured) is a vehicle for individuals, families, not-for-profit organizations and businesses to establish permanent named funds that will provide grants in perpetuity to the widest range of local charitable organizations and charities. The Community Foundation’s mission is to continuously improve the present and future quality of life in the counties it serves. 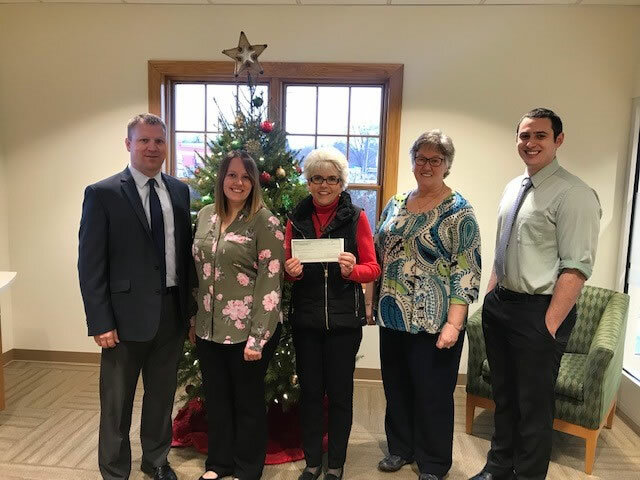 The Hornell Area Family YMCA (Steuben County, not pictured) is a non-profit organization that works side-by-side within our communities to make sure that everyone, regardless of age, income or background, has the opportunity to learn, grow and thrive. C&N recognizes and appreciates the importance of these organizations to our communities and is proud to support their efforts. The C&N Trust and Financial Management Group, a division of Citizens & Northern Bank, maintains offices in Wellsboro, Sayre, Towanda, Williamsport, Coudersport and Emporium in Pennsylvania and Canisteo in New York. The Division, founded in 1960, provides a wide range of investment, trust and retirement plan services to individuals and organizations.